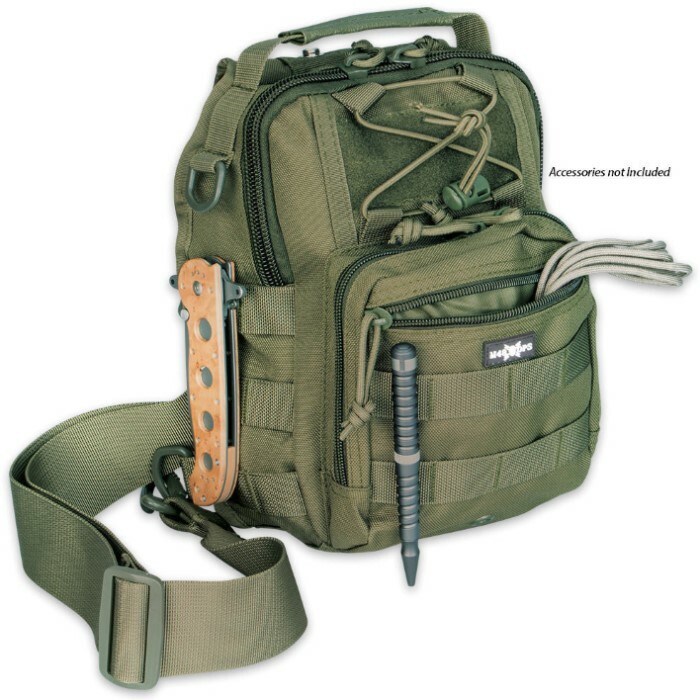 M48 OPS Tactical Military Bag - Green | BUDK.com - Knives & Swords At The Lowest Prices! 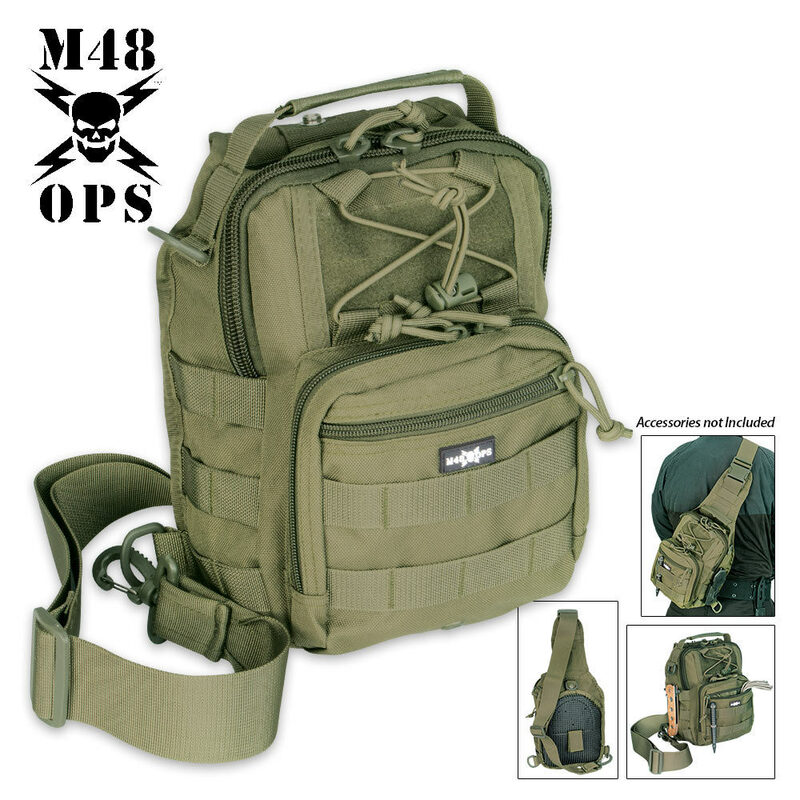 This brand new M48 OPS tactical bag can be used as a one-shoulder bag, a waist pouch or a handbag so you can carry it virtually any way you like! Constructed of 900D oxford material, this bag is waterproof. 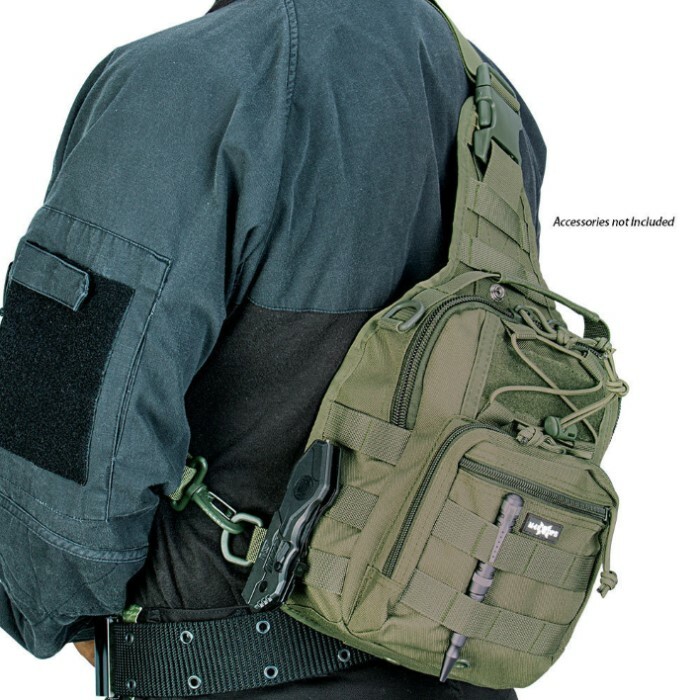 The MOLLE design and adjustable shoulder strap make this bag extremely useful and comfortable. The two main cargo compartments are lined with 420D. Complete with zippered compartments and flexible straps, this bag is the perfect tactical bag! The pictures of this item are deceptive. Definitely smaller than the pics of it across some big dude's back. Might make a good hiking bag for a dog or a 5-10 year old. Or used as a tactical purse for a petite woman. Perfect size for a small hand gun and some ammo. Though the construction and materials seem rugged and sturdy. I will try to find a use for it. Awesome quality and affordable price. If you're like me and tend to get carried away sometimes, when packing your EDC bag, just be aware that this is a bag is smaller than you might think and suited for just the bare minimums. I do want another one though because it is just so easy to grab and go.